Published Friday, 16 December 2016 at 800 × 600 in Whoa!! That’s Really Red Bread (BBB December 2016). 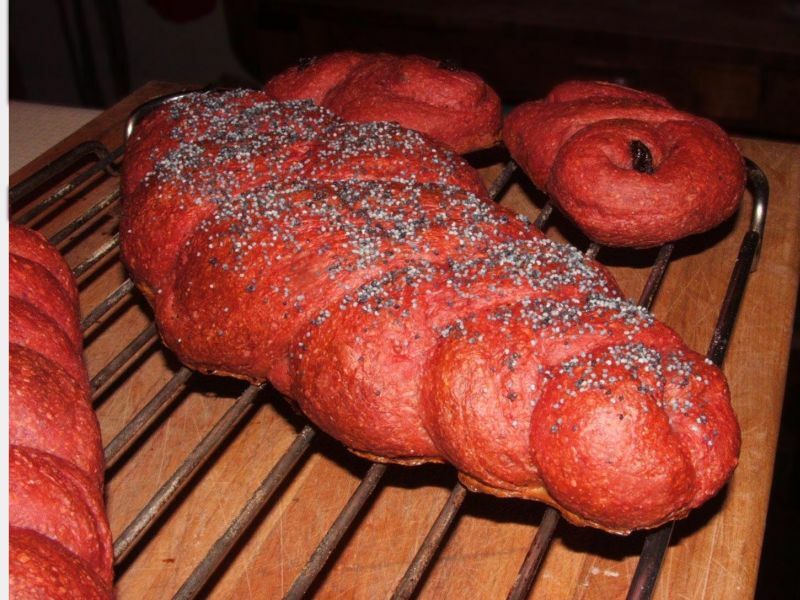 The challah-like dough, made with finely grated raw beets is a lurid red colour. Here it is, just baked.